Ten years on, Facebook remains an important channel through which pharma can engage with patients. What has been learned in that time and how have communication strategies evolved within the boundaries of industry regulation? In 10 short years, Facebook has amassed 1.35 billion monthly active users, allowing people to not only interact with their friends, but also with their favourite brands. Although some pharma companies established their presence early on, they were simply maintaining a one-way communicative stance, in contrast to less regulated industries, mainly because of the absence of guidelines on new digital platforms from regulatory bodies. While some carefully dipped their toes into more customer engagement without attracting any negative attention, others received stern warning letters from regulators like the US Food and Drug Administration (FDA). Now in 2014, the FDA continues to issue warnings for incomplete drug information on Facebook, and the platform still presents a tough environment for the industry to navigate, especially when it comes to having meaningful engagement. Now that they have more guidance from the authorities about how they should conduct themselves in the digital space, pharma companies’ presence on Facebook warrants a fresh look. How is pharma using Facebook? Judging by the amount of likes on their Facebook pages, the most popular companies on Facebook are: Johnson & Johnson (J&J), Boehringer Ingelheim (BI), Pfizer, GlaxoSmithKline (GSK) and Novartis. While it is not the most important metric in effective engagement, it is still indicative of a company’s reach across the network. Figure 1. Number of likes on a company’s corporate Facebook page. Of course, in social media the number of followers, fans, or likes is meaningless if there is no real conversation or sharing taking place. Overall, the type of content posted on the pages is fairly similar between these companies. Figure 2. Examples of posts from pharmaceutical companies. Anticlockwise from top left: Pfizer using hashtags and video to raise awareness about World Pneumonia Day; J&J video campaign in a separate tab on the page; GSK Ebola vaccine update leading to many comments and shares; Novartis disease infographic from their Pinterest account. 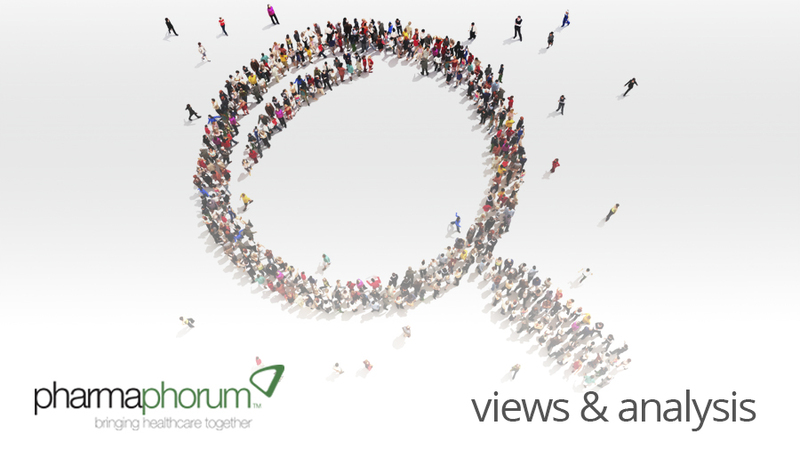 Have your say: How can pharma better engage through Facebook?